When I started the process of updating Little Boy's room -- details to come -- I wanting to have some elements that were made by him seeing as he is able to be part of the decorating process this time around. 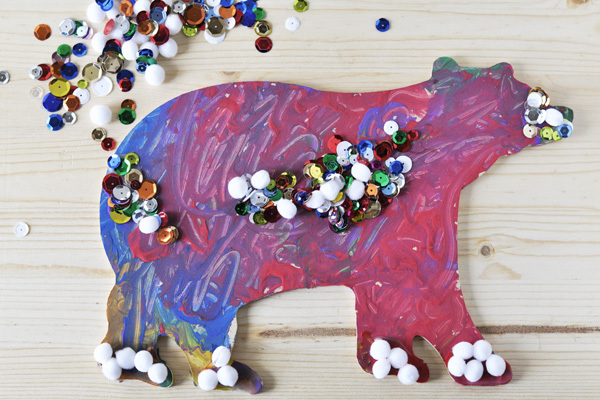 I found a cute little wooden bear shape at the craft store while I was hunting for some other supplies -- which is always the way it goes -- and thought it might be fun for him to decorate it with some paint and some random glue-on items. 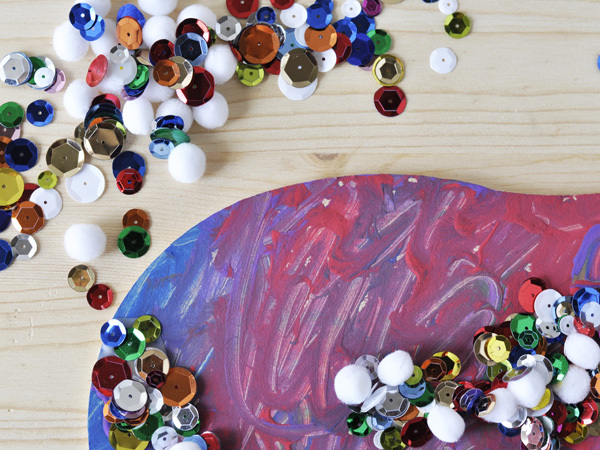 He thoroughly enjoys polar bears, so he had a lot of fun painting the shape and gluing on the sequinsa and pom-poms. As he put the pom-poms on the paws he said to me "I'm giving him feets."